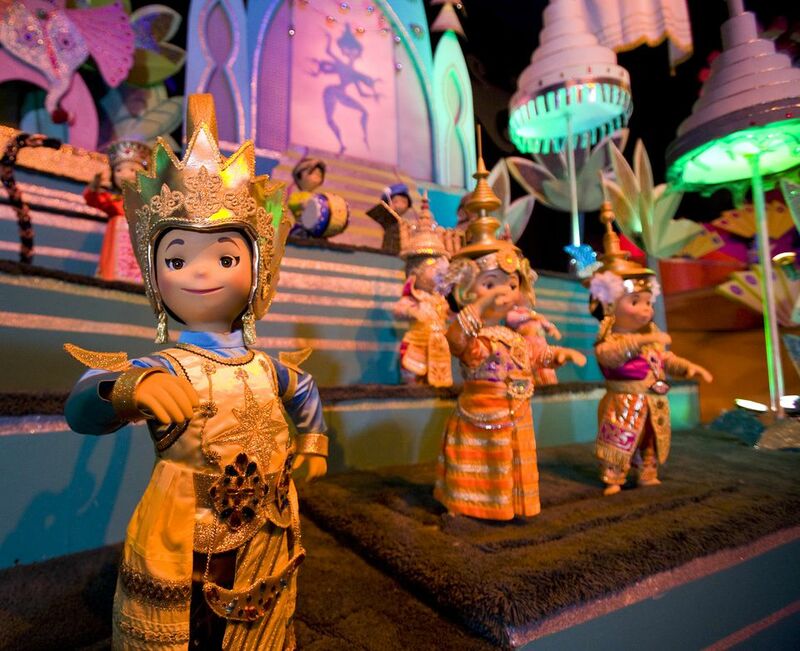 Chances are, you've taken a ride aboard one of the "it's a small world" attractions at Disney parks around the world. If you have, you're in good company. Hundreds of millions of passengers have experienced the ride. Chances are also pretty good that you can hum the insanely catchy and pervasive tune. When it comes to the lyrics, however, all bets are off (except, of course, for the repetitive chorus). Here then are the words to the song that is both beloved and despised—often at the same time. We take no responsibility should the lyrics trigger post-traumatic stress disorder. And a world of fears. It's a small, small world. "It's a Small World (After All)" is probably the most famous song penned by the prolific Sherman brothers. But the Oscar- and Grammy-winning duo were also responsible for such gems as "Supercalifragilisticexpialidocious" and the rest of the tunes from Mary Poppins and a slew of other movie- and theme park-related songs. In 2015, surviving brother Richard Sherman wrote “A Kiss Goodnight” for the Disneyland Forever fireworks show finale. The nighttime spectacular was one of the highlights of the park's 60th anniversary Diamond Celebration. Sherman also served as a music consultant on the 2018 sequel, Mary Poppins Returns. According to Sherman, he and his brother originally wrote "It's a Small World (After All)" as a ballad. When Walt Disney first heard it, however, he suggested that the duo pick up the tempo. Sherman also said that the first time he rode the attraction with Walt Disney, the ride system wasn't quite finished, and the audio was not working. Undaunted, the two songwriters sang the tune live. The attraction was one of four that Disney developed for the 1964 New York World's Fair. You can read more about its history (including the fact that its designers had a mere 10 months from the time they got the assignment until opening day) in our rundown of "it's a small world" at the fair. Despite the song's well-deserved reputation as the ultimate earworm, the ride is one of Disney's most popular and enduring attractions and a must-see for park visitors. It probably comes as no surprise that we include it among the Best Disney World Rides for Kids and give it an honorable mention as one of the Top 10 Best Rides at Disneyland. The Disneyland version of the ride (which is the original one and was moved to the California park after the New York World's Fair closed) got a major upgrade in 2009. It now includes Disney and Pixar characters such as Aladdin and Pinocchio mixed in with the classic dolls. The Disneyland version of the ride also gets an annual makeover each Christmas season and is temporarily renamed “it’s a small world” Holiday. In addition to holiday decorations, the ride's theme song includes renditions of “Jingle Bells” and “Deck the Halls” (as well as "It's a Small World"). Wondering what's up with the lower-case spelling of the ride's name? Apparently, it's a visual pun to emphasize, you know, that it's a small world (after all). Whenever the Disney company writes about the attraction, it uses lower-case caps. The title of the theme song, however, is typically written using conventional upper-case caps. That's why it might appear we are mixing up the capitalization in this article. In fact, we are trying to follow the standard that Disney has established. Yo! What Are the Pirates of the Caribbean Ride Lyrics?